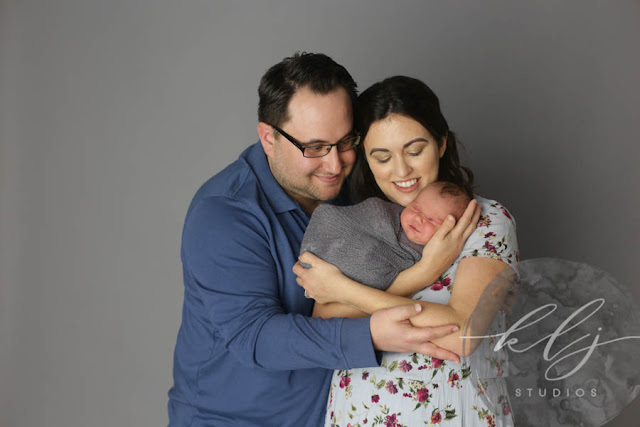 On Sunday, January 20th, 2019, KLJ Studios Photography had the joy of photographing Dan and Allison with their newest family member, Lucy. The session was held in Downtown Historic Woodland in our studio on fabulous First Street. The Lead Photographer for the Session was KLJ Studios Lead Photographer Kelly Jordan and the Second-Shooter and assistant were Beckie and Patrick. 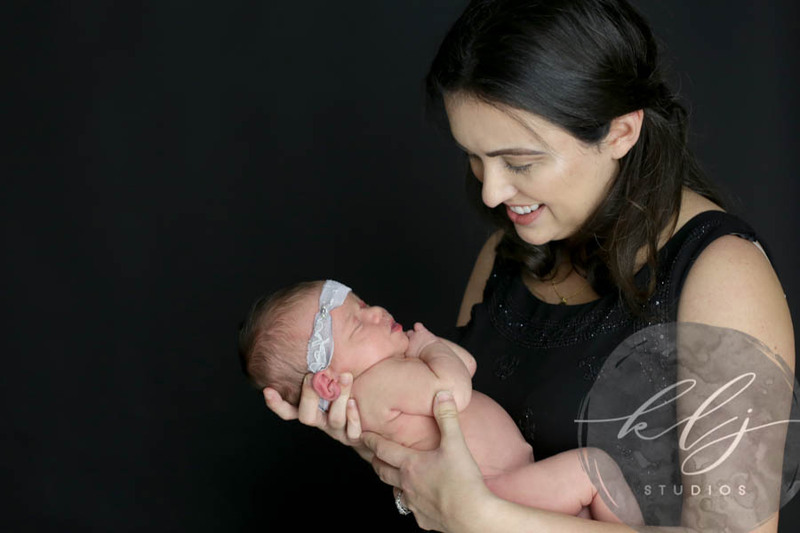 Here are some things that happened during the session: Lucy was a dream baby. 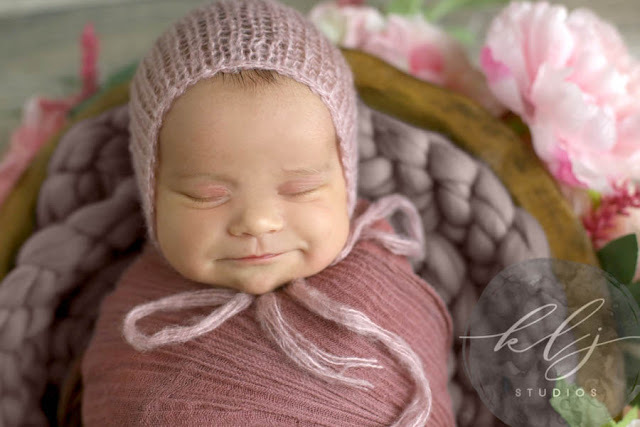 She loved being swaddled and even did a rare smile here and there during the session. 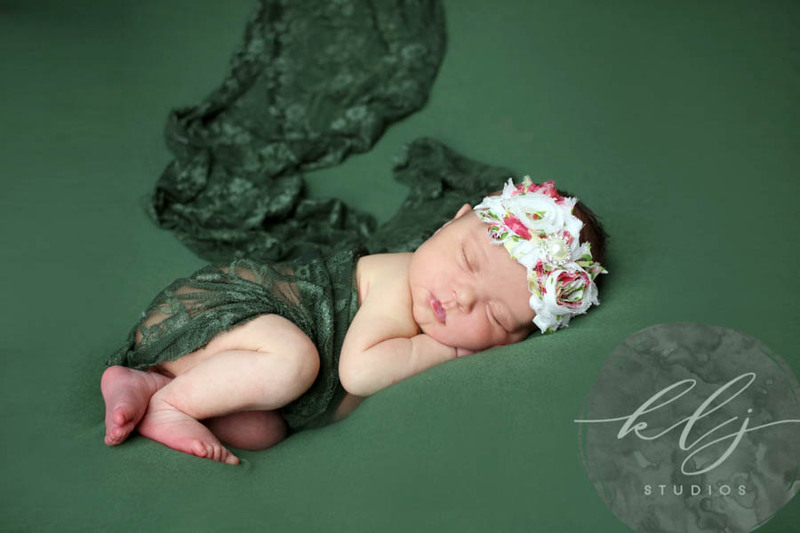 We focused on vintage materials such as lace and used cool colors as that was Allison's preference. Here are some things we learned about our family: Dan is a natural model. We couldn't believe how naturally he would position himself just right between each pose to create the perfect image. Allison gracefully placed herself right there with Dan to get amazing images of them together. Thank you Allison and Dan for allowing me to be a part of this new life to help you to create an amazing session. You guys are welcome back whenever you would like. Until next time, enjoy this little preview. 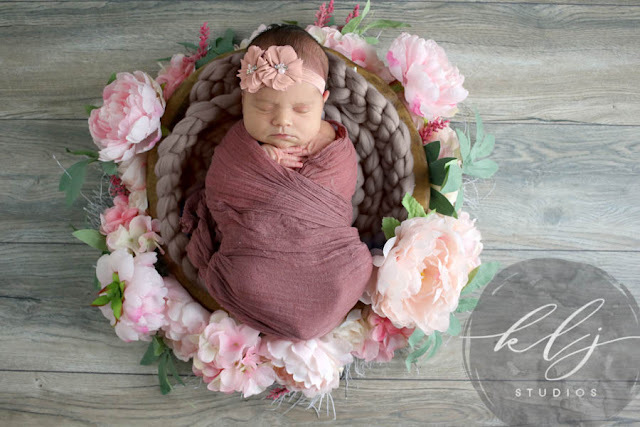 KLJ Studios of Northern California (KLJ Photography Studio and KLJ Beauty Studio) is located in Yolo County at 424 1st Street in Historic Downtown Woodland, California. To inquire about KLJ Studios Photography and KLJ Studios Beauty Services in Northern California please call our Northern California Studio at 530.723.5332, or send an email to [email protected]; please include your name, the best method for reaching you, where you are located, and a message detailing your needs.